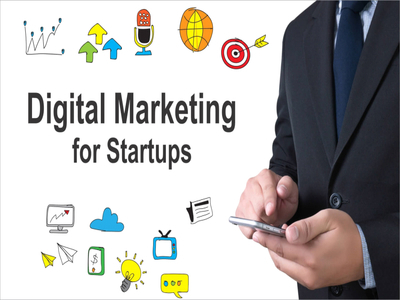 why startups fail to utilize correct digital marketing? I was very excited when this crazy idea of starting up my own business popped in my brain. Deep down though I liked working in my usual 9 to 5, but doing something big on my own was one of my dreams. We are living in a fast-paced world where people want to try out all possible ways to do something on their own to make big money and besides, it’s very rue that all the magic happens outside our comfort zone. We are surrounded by so many startup success stories that they inspire us to do the same, because we always look at the world as a place full of competitors and we are always hopeful about our success in it. So, what are these startups? Well, in simple terms it is a company, which could be small, or in partnership, or an organization aiming to develop a salable business with the help of startup web designing services. These startups actually “startup” with the inception of introducing an innovative product, process or a service. Entrepreneurship is gaining an exponential interest in today's population. 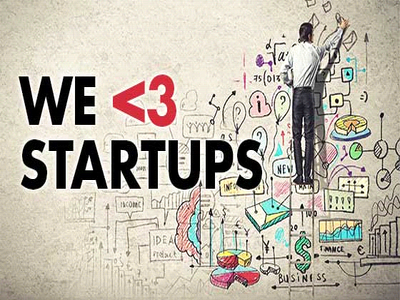 We all love startups, because they have a hidden story behind and each one has its uniqueness. But not all story end up happy. As proposed by Sir Charles Darwin, startups to have the “survival of the fittest” principle. Startups are encapsulated by various challenges. To explain the process in a nutshell it all kicks off with an idea. The idea has to go through a lot of research, refining, improvement and building prototypes of what the product or service would look like. Keeping this prototype to yourself or a couple of humans around will be like looking at the dark, so you need to shed some light on the product, making it is visible to the world. Then comes the major role of marketing practices. Through marketing, business learns how to mould the product or the service by remaking, redesigning it into something irresistibly attractive keeping in mind the reviews, suggestions, reports generated etc. received from the customers using your product or your service. Finding the right investor who would be interested in your product happens in the next step. Finally, selling the product or services to more and more customers, getting involved in stock exchange and selling the shares all result in earning more money. It is practically impossible to top it off overnight. Unfortunately, the recipe of delicious food is far easier than the recipe of a great startup business. Startups fail to realize that reaching the ladder is a step by step gradual process involving activities like improvising the product, working on customer reviews, using accurate technology and tools which help to form a good business. Setting accurate and real goals is the first step to a great business that can be attained easier with the use of online marketing services. Only someone who is well aware of what, how and when to use right tools to increase the productivity, can excel. I agree not all of us are expertise but here's the interesting part, you don't really have to be an expertise, all you need to take care of is proper research, analysis and planning before kicking off the product in the market. Startups lack the patience to understand the importance of using right technology and tools. Content is the crux of business. People will get influenced and interested in your product or service only by having a look at your content. Due to lack of professional help in designing quality content, which is indeed one of the most important reasons of successful business, startups lack behind in terms of delivering the quality content. You can attain good content with the help of content provider services. Before the inception of the idea to build a business to make it better for the society, startups fail to hunt for the right audience. Targeting the wrong audience will only result in digital marketing with poor results. No doubt everyone is using it, but simply making use of social media because everybody else is doing the same is sheer stupidity. Even selecting the appropriate social platforms to present your product or service is an important area to focus which startups don't pay attention to. Apart from the points we just discussed above, there are multiple smaller and bigger reasons which contribute to the success of the business. All we need to take care is how to minimize these issues and how to overcome these hindrances. Startups is a great concept to present your uniqueness, creativity and gives a platform to how innovative you can be to help users by making things easier with your ideas. So it’s time to focus more on the don'ts than the do's because though the word “Startup” looks quite plain, there is a lot to it than meets the eye. 79 + 319 = ?